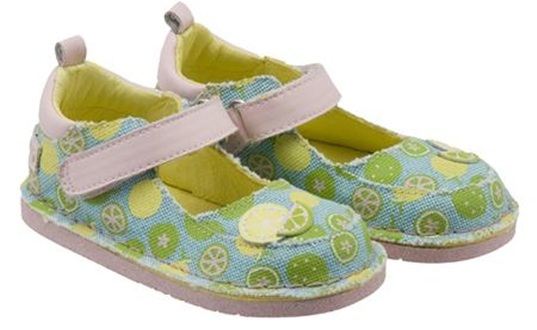 Robeez baby shoes are a favorite starter shoe among parents, because in addition to being adorable they carry a prestigious Seal of Acceptance from the American Podiatric Medical Association; a seal that’s awarded to products that promote natural foot function. Robeez recently debuted their sustainably designed shoe collection for babies and toddlers, which features several precious styles for girls and boys, that are sure to help baby leave a lighter footprint on the earth. The Robeez Eco Collection is available in Soft Soles (0-4 years) and 1st Stepz (6-24 months) and come with a super affordable price tag. Robeez baby shoes are a favorite starter shoe among parents, because in addition to being adorable they carry a prestigious Seal of Acceptance from the American Podiatric Medical Association; a seal that's awarded to products that promote natural foot function. 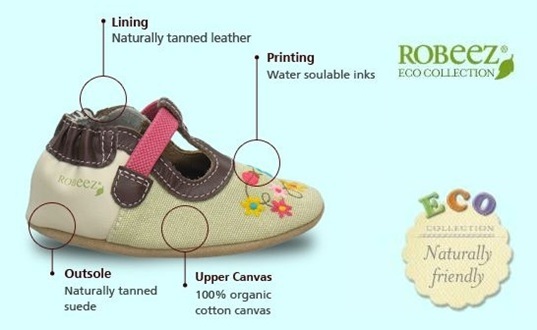 Robeez recently debuted their sustainably designed shoe collection for babies and toddlers, which features several precious styles for girls and boys, that are sure to help baby leave a lighter footprint on the earth.